City’s innovative BSc in Music, Sound and Technology encourages you to work with music and sound in exciting new ways, preparing you for a wide range of careers in the cultural industries of today and tomorrow. This course is for ambitious students who want to develop an impressive portfolio of technical and creative skills. These skills will prepare you for a wide range of careers, such as music production, audio engineering, sound and interaction design, music composition for film and TV, and sound art practices. You will learn in a highly energised and supportive department, with world-class facilities and internationally recognised staff who share your devotion to music. You will study music, recording, studio production techniques, composition, interactive music, acoustics and psychoacoustics, audio arts, sound synthesis, and digital signal processing. At the Department of Music, you will participate in a variety of music-making activities, including a wide range of student ensembles. Our regular concert series and summer festival will introduce you to world-class musicians from classical music to world music. To help you on your way to realising your future ambitions, we offer you the option of taking a sandwich year on an industry placement. Alternatively, you may choose to study at one of our partner institutions abroad. 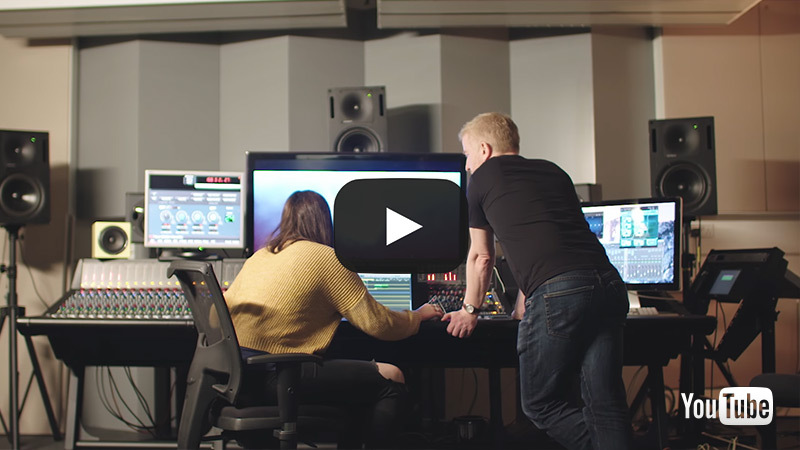 The Music, Sound and Technology BSc (Hons) at City is an innovative and versatile degree, accredited by Joint Audio Media Education Support (JAMES). Developed to respond to the growing demand for flexible music and audio professionals, the course is focused on equipping you with an exceptional range of intellectual, technical and creative skills that will prepare you for employment in a variety of roles across the fast-changing music industries. Delivered in a stimulating research-led environment with world-leading studios and recording facilities, you will learn how to develop innovative projects in recording, composition, interactive music, installation and cross-disciplinary work. This degree has a unique focus, integrating theory and practice to help you understand the relationships between music, sound and other forms of digital media, such as film, games, web-based applications, and new modes of performance which utilise music technology in novel and innovative ways. Immerse yourself in the study of music, sound and technology. Develop up-to-date technical skills in digital and audio technologies. Acquire imaginative strategies for producing creative and technical work, involving experimentation, speculation and rigorous investigation. Learn how to interpret and understand music and sound in a variety of cultural and interdisciplinary contexts. Develop highly transferable skills, such as creative innovation, written and oral communication, independent scholarship, research and entrepreneurialism. Become equipped to make a significant and valuable contribution to the fields of audio production, composition, media, education, research and other areas of the cultural and creative industries. Find out what our students and alumni are up to and the events and research happening within the department on the Music Department blog. 'A’ Level: ABB, preferably including Music Technology and Mathematics or Physics. Scottish Higher: ABBBB typical offer, preferably including Music, and Maths or Physics. Scottish Advanced Higher: BBC/BBB typical offer, preferably including Music, and Maths or Physics. Other Academic qualifications (Access to HE): Pass in the Access to HE Diploma in Music or Music Technology awarded with 27 Distinctions and 18 Merits. Please contact the institution for further information. Overseas qualifications: Please contact the institution for further guidance. Overseas applicants will usually be required to submit a portfolio and attend a Skype interview. Four 5.1 surround studios, one 7.1 surround studio, and two stereo studios. **The fee for your first year of study will be £14,570. The institution reserves the right to increase your tuition fees annually to take account of the institution's increased costs of delivering educational services. The increase will normally be 2% but this is kept under review with reference to the RPI. If the institution intends to increase your tuition fees you will be advised of this alongside the published entry fee. A large number of funding options are available for the Music, Sound and Technology BSc (Hons) at City. Our award-winning Student Centre will provide you with excellent financial advice and support to help you fund your studies. Meet Cleo, a student at City who has gone on to be a sound engineer, working at some of the UK's most exciting festivals. Find out what she loves about her studies with us and discover our outstanding music facilities. As a student at City’s Department of Music, you will be right in the heart of London – a global hub for the creative and digital media industries. We offer you outstanding opportunities to gain experience of a music-related work environment during the second year, with an elective work placement module. Students may also apply to take a sandwich year working in an industry placement as part of the School or Arts and Sciences Integrated Professional Training Programme. It is also possible to combine the options by spending one term on the study abroad scheme and one term in a work placement in the UK. Alternatively, the Erasmus Plus Scheme enables students to spend a year working in Europe. Your time at City will provide you with a great opportunity to broaden your intellectual, creative, personal and professional horizons. The Department of Music has excellent links with international universities and you have the option to spend a term or year abroad during your studies. There are also options to study abroad through either the Erasmus or international exchange programmes. Our recording studio is equipped to deliver multitrack recording and mixing to a professional standard. Our composition studios include four surround studios (8.1/5.1), one of which is dedicated to film and live electronics work, and three stereo composition studios. All our studios are equipped for sound editing, processing and mixing, offering you software such as Logic, Sibelius, Pro Tools and Native Instruments Komplete. Works for instruments and live electronics. Digital instrument and software design. Foley, dubbing, sound design and music scoring for film. Your course will be delivered by passionate academics who are dedicated to helping you succeed in your studies. To maximise the amount of attention given to you on the Music, Sound and Technology BSc (Hons) at City, we offer a considerable amount of tuition in small groups and individually. This enables you to tailor your work to your own interests. Assessment is by a combination of projects, practical and creative work, and examinations throughout your degree. Marks obtained in all years contribute to the final degree awarded. Your project and practical work account for over half the final mark. An extended written or practical project submitted some weeks following the conclusion of the lecture series. A written or practical coursework assignment, in the form of a seminar presentation, a short essay, or creative and technical tasks completed before the end of the lecture series. For some modules, assessment is based solely on a portfolio submission. The balance of assessment by examination, practical examination and assessment by coursework will depend on the optional modules you choose. The Music, Sound and Technology BSc (Hons) consists of three parts, corresponding to the three years of the full-time degree programme. You will study a wide range of concepts and ideas surrounding the theory and practice of music, sound and technology. Five core modules provide a comprehensive grounding in sound recording, acoustics, digital audio, media and critical theory, contextual studies and critical listening. These form a solid foundation for the more specialist topics in Years Two and Three. 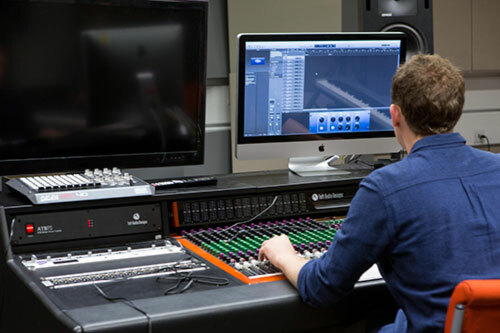 You will develop your advanced skills in recording and audio programming, creating innovative new work. A spread of elective modules across sound studies, critical and media theory, music in popular culture, western music, applied music studies and composition allows you to enhance your understanding in specialist areas and your studies to particular strengths and interests. The final year places greater emphasis on the role of sound and music in video and web applications. You will also choose from a broad range of elective modules. The major project forms a focal point for the final year of your degree, allowing you to devise and realise a large-scale individual project as the culmination of your studies. Part One is made up of five core modules (120 credits). You will also take the Personal Development Planning module as a condition of progression. Music, sound and technology (30 credits): You will gain a well-rounded historical overview of musical and audio technologies, enhance your repertoire and develop your professional and practical musical skills. Sound recording and studio techniques 1 (30 credits): You will become a capable studio engineer equipped with a comprehensive set of practical and theoretical skills. Critical Listening (15 credits): You will develop your integrated critical listening skills so you can identify, describe and analyse the experience of sound across a wide range of listening situations. Sound design (30 credits): Develop a robust understanding of the theory and creative application of audio analysis, synthesis, digital signal processing and sound spatialisation techniques, while creating a portfolio of sound design tasks. Ensemble Performance (15 credits): You will participate in Practical Musicianship and at least one of our ensembles, which include: Chamber Orchestra, Chamber Choir, Civitas (chant and early vocal music), Experimental Ensemble (CUEE), Field Recording, Jazz and Improvisation, Balkan Ensemble, African Dance and Drumming, Balinese Gamelan, and Javanese Gamelan. The second year is made up of 120 credits. You will take core modules totalling 75 credits, and choose a further 45 credits from a range of elective modules. You will also take the Personal Development Planning module as a condition of progression. Interactivity for music and sound (30 credits): Further develop your theoretical and practical understanding of interactive system design, and design, develop and evaluate your own interactive music systems. Sound recording and studio techniques 2 (30 credits): Combine technical, theoretical, creative and managerial skills and develop your ability to tackle complex studio sessions. Ensemble performance (15 credits): As described under Year One modules (above). The third year is made up of 120 credits. You will take three core modules totalling 75 credits, and choose a further 45 credits from the range of elective modules. You will also take the Personal Development Planning module as a condition of progression. Sound and Image Interaction (30 credits): Develop approaches to the interaction of sound, moving images, and physical gesture. You will learn practical camera techniques, visual editing, and sound design for visual media. You will then design and implement your own devised project, which could be, for instance, a fixed-media audiovisual composition, an audiovisual installation, or an interactive website. Major Project (30 credits): Complete a portfolio of creative and/or technical work accompanied by a critical commentary. You will devise a portfolio within an individually tailored field, which may encompass: sound design, interactivity, recording and mastering techniques, software design, audio signal processing, among many other possibilities. You will be supported by specialist one-to-one supervision. In addition to the core modules you will choose 45 credits in Year Two and 45 credits in Year Three from a range of elective modules. Work Placement (15 credits): Gain experience of a music-related work environment, and to reflect on the skills and experiences you have gained. Interdisciplinary and Collaborative Process (15 credits). Human Computer Interaction (Department of Computing – 15 credits): Learn how to develop successful interactive computing systems, such as interfaces and interactive systems of websites, mobile and web applications. Web Creation and Digital Storytelling (15 credits). Music Business (15 credits): Explore the UK music business, for example copyright issues, changing business models of record companies, marketing and public relations, and current trends. Popular Music Now (15 credits): Explore music in contemporary society, focusing on popular music topics and issues from the year 2000 onwards. Sound, Art and Technoculture (15 credits): Examine the relationship between sound, technology and cultures – from the advent of mechanical recording devices to the present day. Sound, Music and the Moving Image (15 credits): Study the use of music and sound in combination with moving images from a variety of historical, creative, theoretical and cultural perspectives. Music, Sound and the Environment (15 credits): Look at the ways in which music and sound permeate the environments in which we live and work. Musical Theatre (15 credits): Consider the genre of ‘the musical’ from its origins to the present, situating these works within the social, racial, economic and political contexts of the day, film adaptations and investigating the scores themselves through musical analysis. Global Perspectives: The World on our Doorstep (15 credits): Explore the impact of globalisation on music, focusing primarily on multi-cultural Britain. Music Traditions of the Middle East (15 credits): Focus on the musical traditions of the Middle East, including art music, religious music, popular music and folk music traditions of the region and how global society has impacted them. Indonesian Music Studies (15 credits): Study the varied styles and genres of Indonesian music, the links between music, religion and theatrical forms and the effect of colonialism and commerce. Orientalism and Exoticism in Music 2 (15 credits). Composition: Studio (15 credits): Enhance your skills in the use of studio equipment for sound recording, digital signal processing and mixing, and apply these techniques to create imaginative new works. Composition: moving images (15 credits): Use both live and electronic resources to create soundtracks for three audio-visual projects and learn to generate fluent, coherent and imaginative soundtracks that are dramatically, structurally and gesturally appropriate. Composition (Instrumental) (15 credits): Through the completion of three works for varying instrumental and vocal resources, you will engage your creative imagination with the technical discipline needed to convey ideas to performers via musical notation. Most contact hours will take the form of a mixture of lectures, seminar presentations, workshops and tutorials, depending on the nature of the module. The department is committed to small group teaching wherever possible in order to maintain a student-centred approach to teaching and to enable your participation in the learning process. This programme will include an average of 12 contact hours per week. In addition, you will be expected to undertake 23 independent study hours per week. There is also a placement module and a sandwich year option. The knowledge and skills you gain during the course will prepare you for a wide range of careers in music production, sound engineering, software design, composition, sound design and media production. Duration: 3 years or 4 years with one of the two optional sandwich year routes: a work placement year or study abroad year, to be undertaken between years two and three of the course.